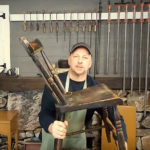 In the above video, Rod Keyser has packed all sorts of "how to" replace wood veneer tips and techniques into this super informative video as he takes us along on his journey as he restores a vintage cedar chest with monumental veneer problems. 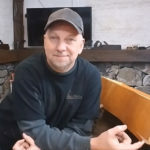 Difficulty: Beginner to Intermediate Video Time: 11:02 In this video you will learn many veneer techniques as Rod Keyser of The Restoration Studio replaces veneer on a totally wrecked cedar chest. 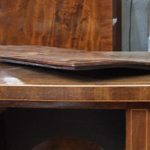 An inherent problem with veneered furniture it often becomes loose when the glue looses its holding characteristics. 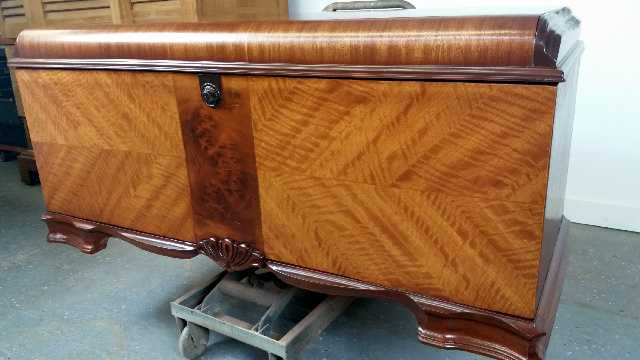 Loose veneer becomes easily chipped when we wipe down the veneered furniture with a cloth while cleaning or dusting. 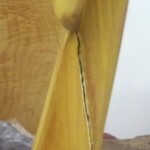 In many cases, we can glue the loose veneer before it chips and prevent further damage. But what happens when it's too late, and the piece of furniture is too far gone? Can it be saved? Te answer is usually, yes !! To replace wood veneer, there are a few things we need to know. 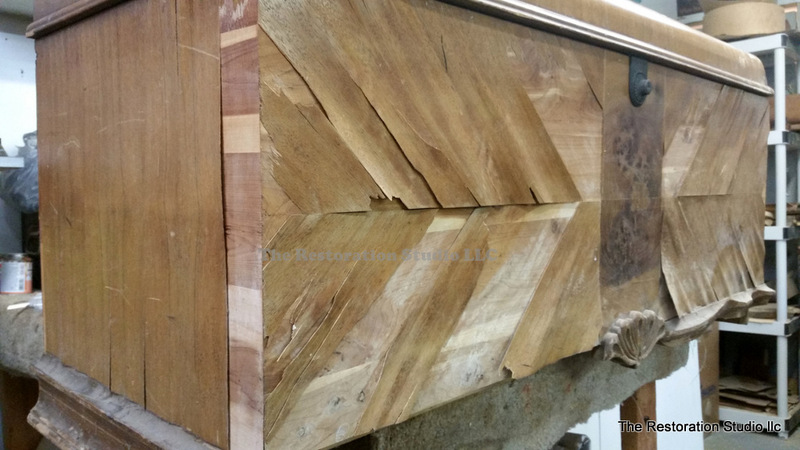 What type of veneer are we trying to replace? 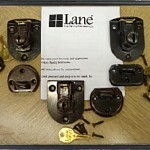 Here is a link to a very useful product we've found helpful in identifying veneer. 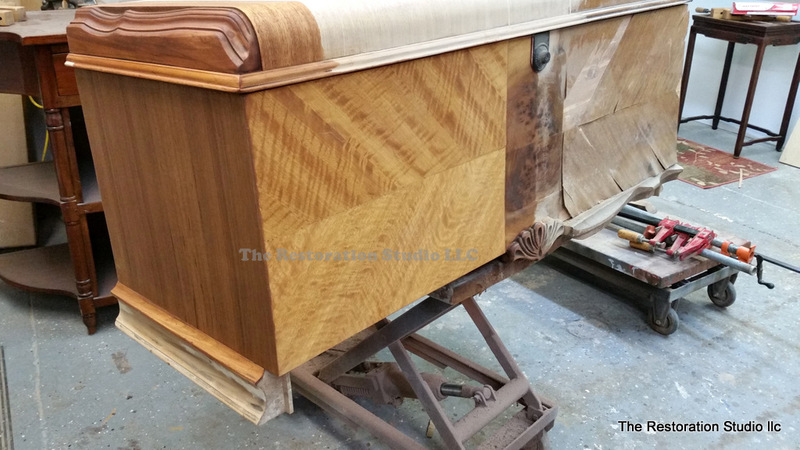 In this how to replace wood veneer tutorial, we'll guide you through the steps as we re-veneer a Lane cedar chest. Veneering, the use of thin sheets of wood onto a substrate, or solid wood surface, has been a common practice since the 16th century. Veneering dates back to the Egyptians, and allows for unlimited possibilities in furniture design. Veneer is a practical way to use rare and exotic woods that could otherwise be prohibitively expensive. 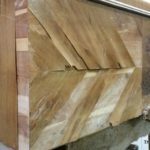 Its also used in place of solid wood that would have high probabilities to expansion and contraction with environmental changes, causing warp and splitting. Veneer is in fact, a wonderful underappreciated compliment to most any piece of furniture. However, that element of illusion that comes with veneered furniture has led to a common misconception - that veneering is a cheap substitute for solid wood and is a means of concealing poor construction and cheap substrates such as particle board. Unfortunately, this label has been attached for a good reason. 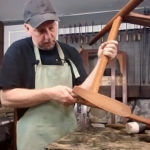 As many furniture makers have looked to lower prices and increase profit, quality and craftsmanship in both construction and materials had been greatly diminished. 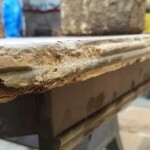 Substrates are often MDF or similar particle board. 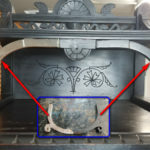 Veneers have become micro thin, and more recently we are being sold "wood like" furniture that is just a thin paper or plastic membrane coating that looks like real wood. Veneer itself is not bad, it's just been given a bad name by our more modern day practices and how it's been evolved. 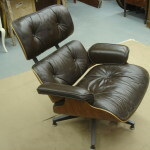 But much of our vintage and antique furnishings are magnificently veneered over solidly constructed foundations. Veneer is not, however, without drawbacks. With age, humidity and mistreatment wood veneer will crack, chip and blister. 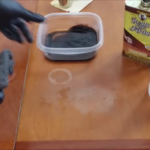 The glue used in securing it to the substrate can also deteriorate, leading to further failures. 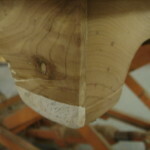 We've calculated that in restoration, veneer problems account for the most frequent repair work after loose chair joints.